Buying an infant car seat for your newborn baby boy is an important decision for any parent. By now, you probably know that you will need a car seat to take your baby anywhere including home from hospital on the first day. The market is filled with many car seats making it nerve-wracking for you to choose the safest ride for your little one. While it might seem like all car seats are safe because they must pass the same safety standards, not all are made equal. Some additional safety features to look out for include side impact protection, rebound bars, leg loads and many more. Cushion inserts are also important as they position the infant’s head properly whilst providing additional protection. While some seats are well suited for traveling in taxis, others are a great choice for twins. The best car seat for you will depend on your boy’s size and weight. Here are our top five picks. The Chicco KeyFit 30 is our top pick because it offers the best of safety, convenience, and value in one car seat. The Chicco 30 is capable of holding babies who weigh from 4 – 30 pounds and measure up to 30 inches in height. The included cushion inserts improve the positioning of the infant. There’s little to worry about if you already have different strollers as the seat is compatible with a good number of Chicco strollers as well as other popular ones such as Britax and UPPABaby. The Chicco KeyFit comes with a simple installation procedure that involves the use of a LATCH system. Neither light nor heavy, the Chicco KeyFit is averagely weighted at 9 pounds and meets all the Federal Motor Vehicle and ASTM standards. Many parents are fond of the tangle free straps that are adjustable without re-threading. The Chicco KeyFit 30 is an averagely priced car seat that parents and babies find dependable for everyday transport. If you are a frequent traveler and need an infant car seat that can keep up with your travel demands, then you need the Doona Infant Car Seat. This pick-up and leave infant carrier is built for the road. At the push of a button, the seat unfolds, the wheels extend, and you are good to go. Doona is very useful for parents who want to spend their vacation with their baby boys close by. The Doona fits babies who fall within a range of 4 to 36 pounds and comes with a cushion insert for the baby’s comfort. Mothers who like convenient car seats will appreciate the LATCH system, compatible car seat and an installation indicator to show when the seat is fitted properly. The handlebar also acts as an anti-rebound bar for additional safety of the baby. Although its weight can be a bit of an issue, Doona levels this via the extendable wheels that make things much easier. Overall, Doona is a great travel car seat and is a great choice for babies on the go. One thing is certain when it comes to infant car seats; quality does not have to cost an arm and a leg. In the United States, all car sets produced have to pass the statutory safety standards, which makes even the inexpensive ones just as safe. The Baby Trend Flex Loc is an inexpensive model that punches way above its price point. 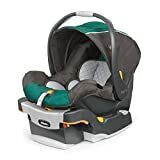 Suitable for babies between 5 and 30 pounds, this car seat is a bit narrow than most but is about average with a height of 30 inches. Despite its entry-level price point, the Baby Trend Flex Loc features some high-end features such as an adjustable harness without rethreading. Parents will appreciate the 4-position adjustable height that is equipped with a quick release LATCH system. The large canopy helps protect the baby’s eyes from direct sunlight, and the boot helps make the baby seat warm and cozy. The Baby Trend Flex Loc is a major steal considering all the features included but one drawback is that it lacks a cushion insert. If you are one of those mothers who is super paranoid about your baby’s safety, then you should seriously consider the Britax B-Safe 35 Elite Infant Car Seat. This car seat is built with safety in mind from the ground up. The company’s very own SafeCell Technology features a steel frame that is added to the framework of the car seat in order to add strength and resilience in the event of a crash. In addition to this, there is an energy-absorbing foam lined with the headrest which serves to cushion the baby during impact whilst providing a comfortable ride. The newborn cushion insert included is a nifty addition that parents love to have. This helps small infants fit well within the car seat. One of the highest capacity seats in terms of weight and height, the Britax B-Safe 35 supports babies from 4- 35 pounds and heights of up to 35 inches. If you are in dire need of a seat that surpasses Federal Motor Vehicle Standards, FAA Standards and offers additional layers of protection, it’s hard to beat the Britax B Safe 35 Elite. The UPPAbaby MESA is a no-stress car seat. Installation is as easy as clipping the LATCH connectors and pushing the base down with your body weight. With the MESA you won’t ever have to fidget with pulling straps. The level indicator will also help you see whether the car seat is level and tight enough. 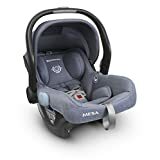 The UPPAbaby MESA Infant Car Seat ease of use a 5-star rating by the National Highway Transportation Safety Administration, which further accentuates its user-friendliness. A no-threaded harness is also a neat addition we love to see in many car seats nowadays as it allows you to adjust the seat with ease as the baby boy grows. The MESA is a heavy car seat at 10 pounds, but in exchange, it offers simple installation and compatibility with many strollers. The UPPAbaby MESA Infant Car Seat brings back the simple hassle free baby carriers that parent have come know and love. Here are some of the factors we deem important when looking for an ideal infant car seat for your kid. There are basically three options for a newborn baby boy; an infant carrier, a convertible car seat, and an all in one car seat. Infant carriers or car seats are generally good enough for the first year and also double as travel systems. Infant car seats latch onto a base that is always placed in your vehicle. You have to ensure that the car seat you buy however is compatible with the stroller you have. This is especially handy for suburban families who use the stroller and car frequently. This provides an easy and efficient way of moving the baby without necessarily waking him up. 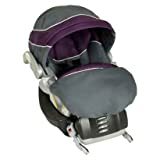 If you intend to use the infant carrier for both purposes, it’s important that you get one that has a good handle to support the baby’s growth a few months down the line. Convertible car seats, on the other hand, are designed to stay in the car. Although these cannot be used as carriers, their biggest advantage is that they can be used as the infant progresses into babyhood. Convertible car seats are a great choice if you intend to use one vehicle as it saves you a lot of money. The all-in-one car seats are designed from infancy to a position where he is capable of using a seat belt. These are capable of holding a rear-facing infant of between 5 to 50 pounds and a baby of about 20 to 80 pounds forward facing. The 5-point harness is a must-have for any infant car seat. For the best experience go for a car seat that has a buckle that is easy to latch and unlatch and not straps that are tricky to adjust. As a rule for thumb, when setting up your young one to sit facing backwards, ensure that the shoulder harness falls below the baby’s shoulder level. The opposite applies for front facing seats. A newborn baby boy cannot hold up his head, and it is better to find a car seat with a head support insert rather than an attachment. For a comfortable ride make sure that your baby uses an insert that is provided by the car seat manufacturers. Failure to do this may risk the baby’s well-being by an improperly fitting insert. If the inserts seem to be inconvenient, you can always roll up blankets in order to keep the boy’s head in place. As a word of caution though, stay away from neck pillows because they can be dangerous in case of an accident. Side protection is very important for any baby: boy, or girl. Deep sidewalls provide an adequate amount of cushion around the head, neck, and spine and safeguard against any eventualities when there is a side impact accident. Before latching onto any car seat, make sure that you check the manufacturer’s website for any information regarding side impact protection. When you are done installing your car seat, get it checked by an expert just to reaffirm its safety. A car seat safety expert can always be found at your local fire station or police station. All this is to avoid the common mistake made by most parents, which is a failure to install the seat tight enough. A car seat should not move more than one inch in any direction. In the case of a 3-in-1 convertible car seat, ensure that the seat belt is tight enough and in place. To avoid all these hassles just check out the seat’s manual after purchase. If it proves to be overwhelming for you, get a local expert who will help you with the entire process. The most user-friendly car seats for your young boy can easily be verified by its National Highway Transportation Safety Administration rating. The car seats that are easiest to use have the most stars and vice versa. The NHTSA ratings take into account factors such as the installation process, safety, and security of the seat and as well as the content and eligibility of the product manual before issuing a rating. It is a reliable system of measure. As your boy grows, you will need to adjust the harness and headrest. A good car seat should allow you to adjust the straps and harness height from the front side. A user-friendly car seat should have features that enable easy adjustment. Some of these include a no-threaded harness, height adjustable headrest, and a quick release buckle. Babies and messes are inseparable, but lucky for us parents there are many car seats come with removable covers. A detachable cover makes the clean-up work much easier, and it’s even better when its machine washable. We have compiled a list of five noteworthy car seats that should ease the burden of going out to find one. A good car seat will vary from one infant to another based on their weight and height, and is therefore very important that you get your baby’s information in advance. Before getting a car seat, it is also paramount that you check on its harness height, safety ratings, cushion insert availability, LATCH system, stroller compatibility and bare weight. Removable seat covers that are machine washable are also an advantage as they reduce clean-up times, ensuring the baby is clean at all times. Once you land your perfect car seat, it is good that you test it out in your car before removing tags and throwing away the packaging. You have to ensure that the car seat fits in your vehicle and also lives up to your expectations. From the options mentioned above, which one do you think is your favorite? Share with us in the comments section below.